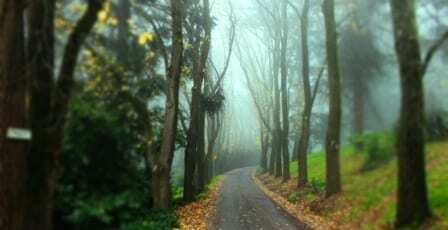 From book fairs to gay festivals, from walking trails to artisan masterclasses. 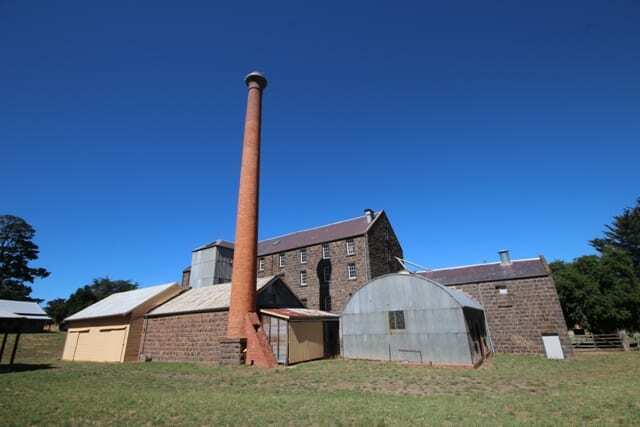 Visit Hepburn Shire, it has it all. 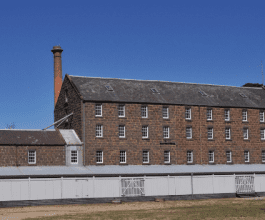 In a postcard setting on the banks of Birch's Creek at Smeaton, Andersons Mill stands as a reminder of an industry that flourished after the gold rush of the 1850s. 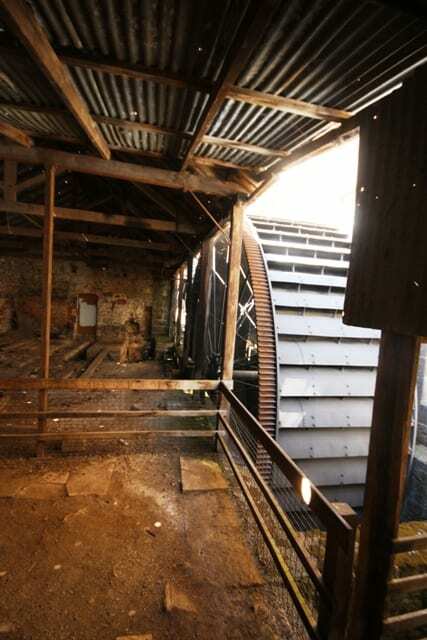 Standing much like it was over 100 years ago; the five-storey bluestone building and its magnificent iron water wheel are still in place. 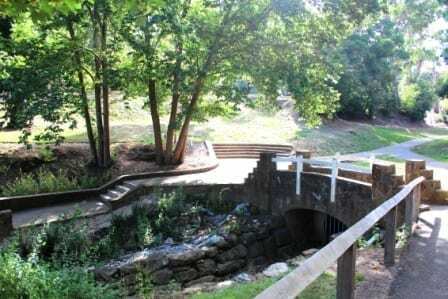 The grounds of Andersons Mill can be enjoyed at all times for picnics and enjoying the grounds. Anderson's Mill is open to the public on the first Sunday of each month during Autumn and Spring and during special events such as the annual Anderson's Mill Festival in April & the Heritage Festival in May. The grounds around the Mill may be enjoyed at other times but please observe private property signs. 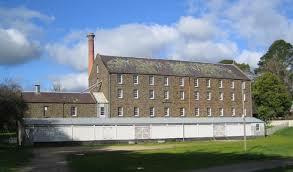 The toilet facilities are available only when the mill is open. 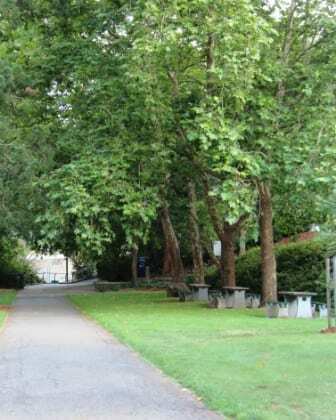 For up-to-date park information including any changed conditions, visit the Parks Victoria webpage or call 13 19 63. First Sunday of each month during Autumn & Spring. Relax, rejuvenate and explore. This region is home to over 80% of Victorias Mineral Springs, famous for the stunning natural setting and healing waters. 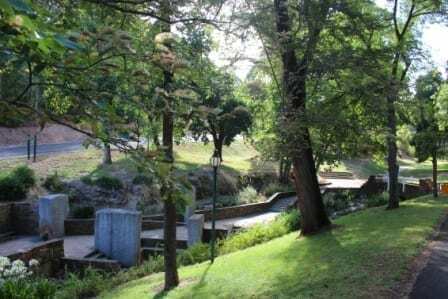 The Hepburn Springs Mineral Reserve was Australia’s first Mineral Reserve created in 1865 and houses the historic Bathhouse and Pavilion buildings. Take some time out to rejuvenate and ‘take the waters’, or explore one of the many walking trails that are found throughout the reserve. 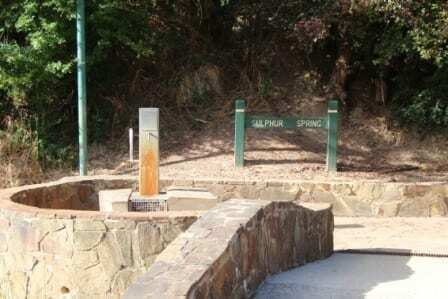 Have a wander along the creek to each mineral spring and taste the famous mineral water from the pumps or free-flowing pipes throughout the reserve. There are BBQ facilities, picnic areas and a playground, why not spend the day. 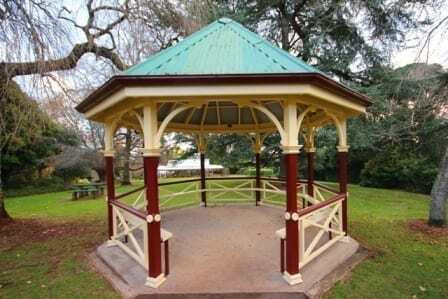 The historic Hepburn Bathhouse and Spa and Pavilion Cafe are located in the Mineral Springs Reserve. 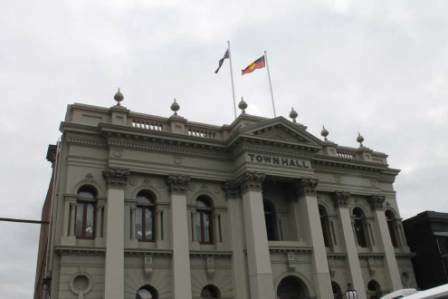 The Daylesford Town Hall was build into he 1800's and is still used today for Council meetings and events. The inside of the hall has been restored and is a fine example of gold rush era architecture. The hall hosts many events including concerts, dances, theatre shows, festivals, art show and many more events. The hall can also be hired for private and public events. 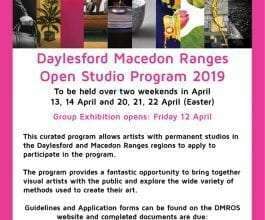 Contact the Hepburn Shire council for any booknig enquiries. 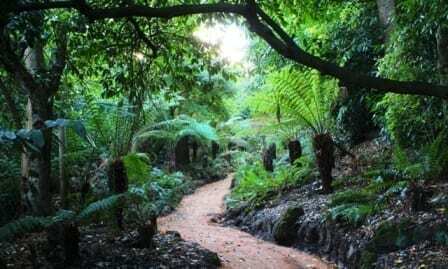 Located at the top of Wombat Hill in the centre of Daylesford is the historic Wombat Hill Botanic Gardens. 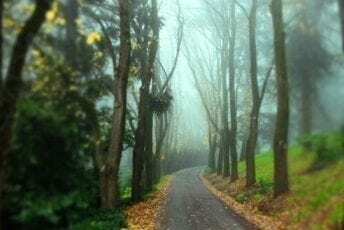 Take the scenic drive around the gardens and then stop a while to explore. Climb the 77 stairs to the top of the Memorial tower for views across the town. Whilst here you can explore the many areas throughout the gardens including the fernery, rotunda and begonia house. Allow time to take a break for a coffee at the cafe hidden amongst the plants. Are you a keen gardener? The Friends of Wombat Hill have regular plant sales in the gardens and a small trolley full of plants for sale located at the cafe. 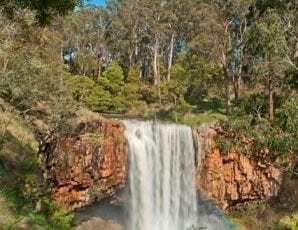 Coliban River Scenic Reserve is also known as Trentham Falls. 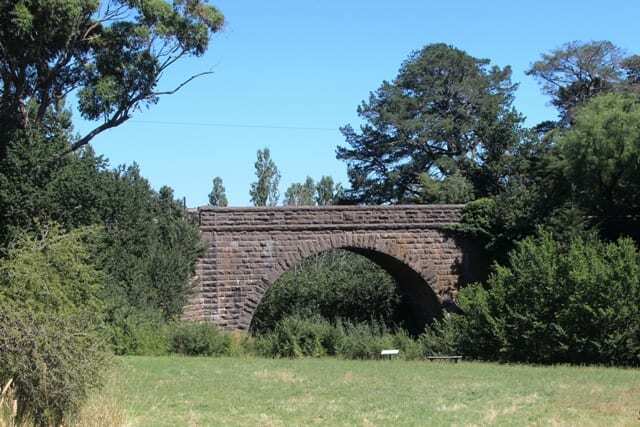 The reserve is located just a short drive north of the township of Trentham, 97 kilometres north-west of Melbourne. 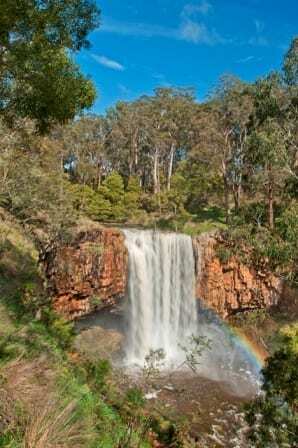 From the viewpoint, only 100m from the car park, you can appreciate the basalt cliffs and the impressive waterfalls. The falls are best viewed in the winter and spring months or after significant rainfall. 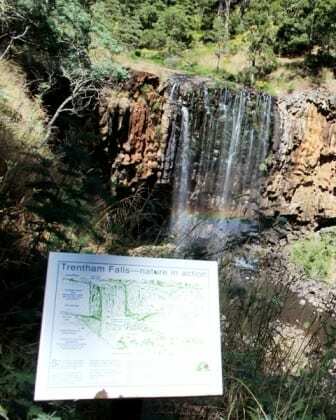 Beautiful Trentham Falls is one of the longest single drop waterfalls in Victoria, plunging some 32 metres over basalt columns. There is no access to the top or base of the falls due to unstable cliffs but you can best enjoy the waterfall from the viewing platforms. The reserve protects one of the best remnants of vegetation in the area, you can find stands of large manna gum, stringy bark, messmate, narrow-leaved peppermint as well as seasonal wildflowers. 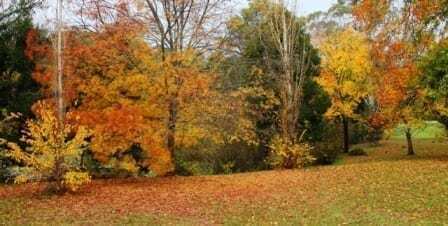 Toward the reserve entrance is a picnic area and carpark in delightful bush surroundings and located a short walk to the falls viewpoint.